Breakout boxes are so fun and challenging. 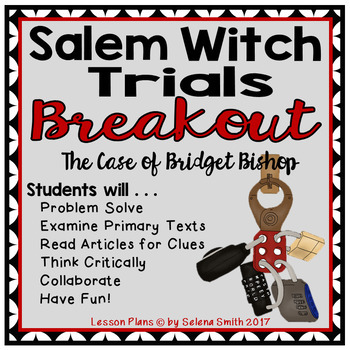 Students will learn so much about the injustices of the Salem Witch Trials by doing this activity. They will read primary texts and articles to solve puzzles that will lead to opening the locks. This can be used in history, English, science, or any subject that emphasizes critical thinking and problem solving.